Obituary for Toni Alesandro Taussi | Wyman-Fisher Funeral Home Inc.
Toni Alesandro Taussi of New City, NY, formerly of Greenwich Village and the Inwood section of Manhattan, passed away on Saturday, November 24, 2018. She was 91. Toni was born June 19, 1927 in Manhattan to Rocco and Rose Alesandro. 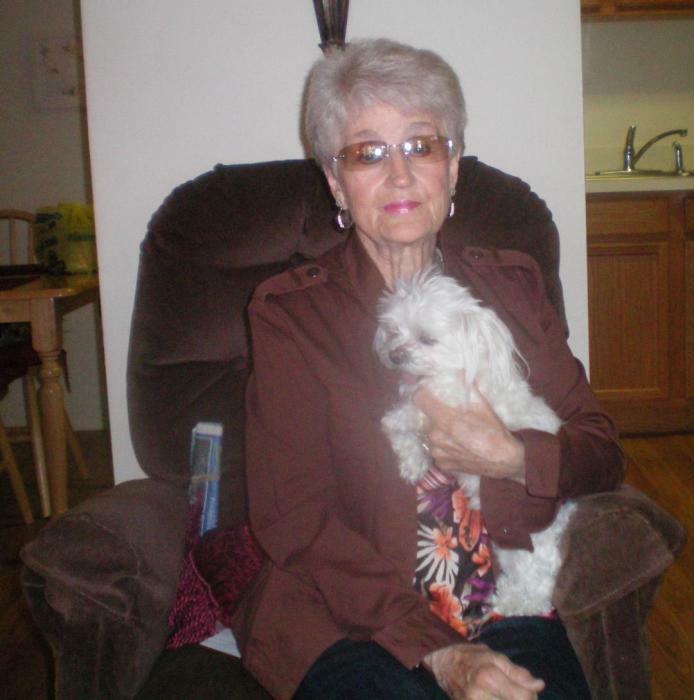 She will be remembered as a wonderful homemaker, loving mother and grandmother who provided us with a lot of laughs. She is survived by her children; David, Michael (Lee) and Frank (Colette) Taussi and grandchildren, Michael, Christopher, Victoria, Nicholas, Samantha, Hailey and Jamie. She is predeceased by her husband, Joseph Taussi (2000) and her loving dog, Pippi. A Mass of Christian burial will be celebrated 10:00 am Thursday at St. Aedan R. C. Church, Pearl River, NY. Visiting is Wednesday from 3 to 5 and 7 to 9 pm at Wyman-Fisher Funeral Home Inc.